Blades are made of hot hammer-forged “Izumo Yasuki Steel” for maximum sharpness and cutting power. 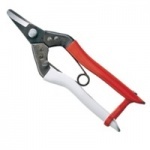 Long lasting with a blade thickness designed for the task at hand. Pointed thinning shear, 7 3/4”. For delicate no-crush floral and thinning work. Cutting blade 2 3/4”. 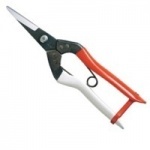 Great for cut flowers. 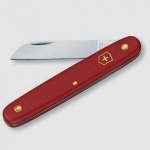 The Victorinox Gardener is a very good all-purpose knife. It is small, yet strong. The Gardener weighs in at just 2 ounces, and features a single 2.25 inch blade on a large handle, which provides a sure grip. Acclaimed by users everywhere, Victorinox brand grafting and pruning knives are constructed with quality stainless steel blades this knife comes standard with an alloy lining. 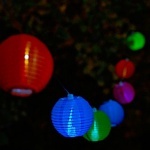 Allsop Aurora Glow solar string lights in Sea Glass add elegant ambiance for any evening enjoyed outdoors! As seen in INSTYLE magazine "101 Reasons to smile this summer". 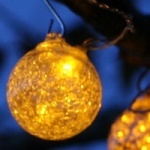 Illuminate your outdoor spaces with beautiful and festive solar powered hand-blown glass string lights. 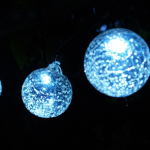 Six lights crafted from clear hand-blown glass and luminescent details adorn a clear wire and come complete with six high powered white LED lights and copper hanging hooks. 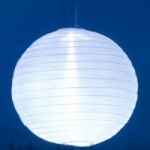 Allsop Aurora Glow string lights are powered by the sun, with a solar panel located nearly 15 feet away from the first glass globe. 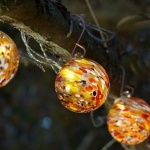 Illuminate your outdoor spaces with beautiful and festive solar powered hand-blown glass string lights. Six lights crafted from clear hand-blown glass and luminescent details adorn a clear wire and come complete with six high powered amber LED lights and copper hanging hooks. 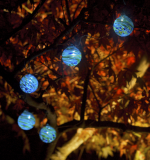 Allsop Aurora Glow string lights are powered by the sun, with a solar panel located nearly 15 feet away from the first glass globe. Great gloves for all your gardening jobs!